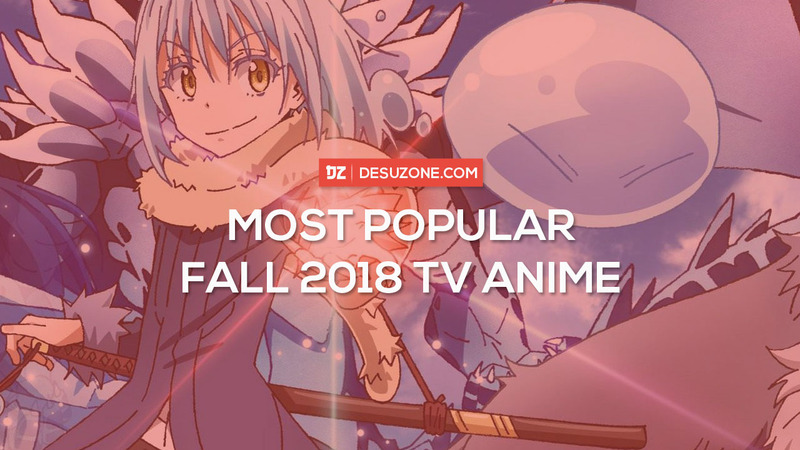 Fall 2018 TV Anime Popularity Ranking (NTT Docomo) – Desuzone '+g+"
About one month passed as the fall 2018 anime released. 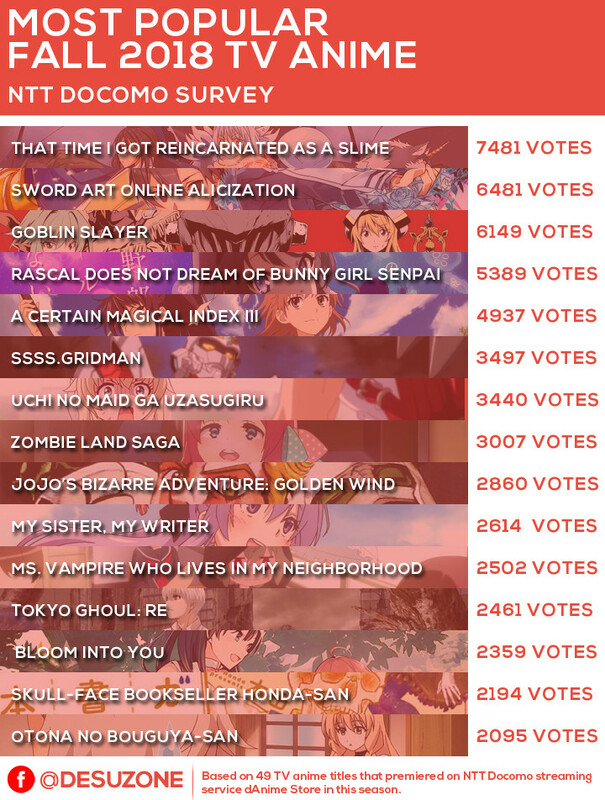 It's enough for Japanese fans to chosen their favorite anime to keep watching. 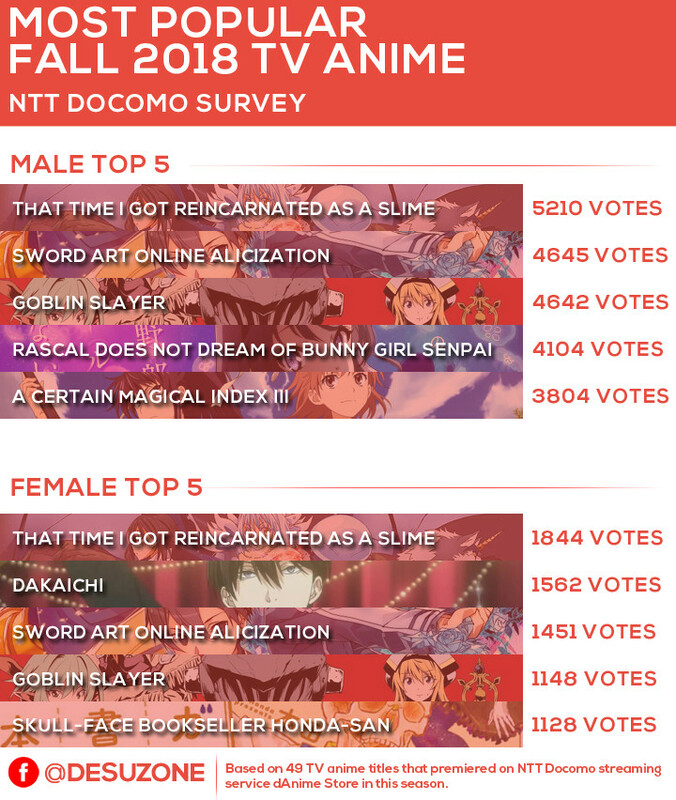 NTT Docomo, the predominant mobile phone operator in Japan, announced the popularity ranking of TV anime that premiered this season on its streaming service, dAnime Store. 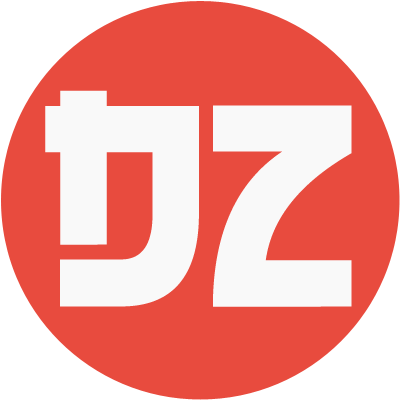 The survey was carry out via online for dAnime Store users between October 30 and November 7. The number total of votes was 87,277 (Male: 58,930 / Female: 23,530 / Not Specified: 4,817).